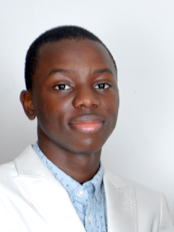 Theophilus Aluko, ’16, Mechanical Engineering, worked with campus partners to organize UMBC’s Adaptive Sports Initiative. Thanks to the Mechanical Engineering department, I was able to join UMBC’s delegation to the 2015 American Democracy Project/The Democracy Commitment/NASPA Civic Learning & Democratic Engagement conference in New Orleans earlier this month. I was one of four UMBC students, joined by three members of the UMBC staff. The conference began with a meeting of American Democracy Project institutions: four-year, public colleges and universities interested in promoting civic agency. From the questions asked in this session, I could sense that there is still a lot of work to do. Faculty members and students do not always recognize their power to effect meaningful change. We all ought to make it a part of the academic culture, and orient students to their potential right from the start of their first year on campus. In the opening conference plenary session, Nancy Cantor, Chancellor of Rutgers University-Newark, expressed her unwavering stance that universities must connect with and serve their communities. What stuck out to me was her concern that we move beyond volunteer projects and do more to promote deep, sustainable change. Then it was my turn to join other presenters in sharing posters about our work on our various campuses. My poster, “It Can Happen Faster Than You Think: Lessons from the Adaptive Sports Initiative at UMBC,” explained how the Adaptive Sports Initiative got started at UMBC, and what lessons people at other institutions could apply to develop similar initiatives. I stressed that follow-up is a key to success. I got some great feedback, and learned about a community college that gives students course credit for volunteering with an adaptive sports initiative. I’d like to see that happen at UMBC. Contact the authors, Theophilus Aluko, at taluko1@umbc.edu.